Fuel Filter Rs. 821 for Petrol, Rs. 1400 for Diesel. Hi, I have a 2013 EcoSport which has done around 50kms and I recently gave my car in for service from where I came to know that my waterpump has a leak. Is it normal for it to leak at such low kms as i know that water pumps start giving problems at 100kms or more. And also what is the caost to fix it. My ford Ecosport running is 116000 km approximately. Vehicle is running in good condition. When I gave it for servicing to showroom they are telling me to change entire timing belt system which costs around 25000. I think only belt has to be replaced not the system. Please advice. It costs 16000 for1. timing belt 2.idler pulley3.tensioner pulley 4.ac belt or alternator belt5.ac belt tensioner pulley 6. Damper pulley or cranckshaft pulley. Hi .i have ecosport titanium plus 2013 model .its run abt 65000 nd while driving when wheels come on small pot holes it vibrate to steering and does nt feel smooth ..i have changed its lower arm but still it is not smooth like other cars .it sounds a lot to cabin ...plz suggest me what to do . I have 2014 Ecosports , I recently serviced by Car, I have been informed that my Turbo charger is weak. I am surprised only 50K kms run diesel vehicle and turbo charger weak? What could be the reason for this, can above reason my Turbo charge get weak. What is servicing cost for EcoSport?? Is it affordable for middle class man? Wanted an expert advise on used car for ecosport titanium disel done 15000 kms and oct 2015 model . What is the price to be picked. Not more than 8 Lakhs. 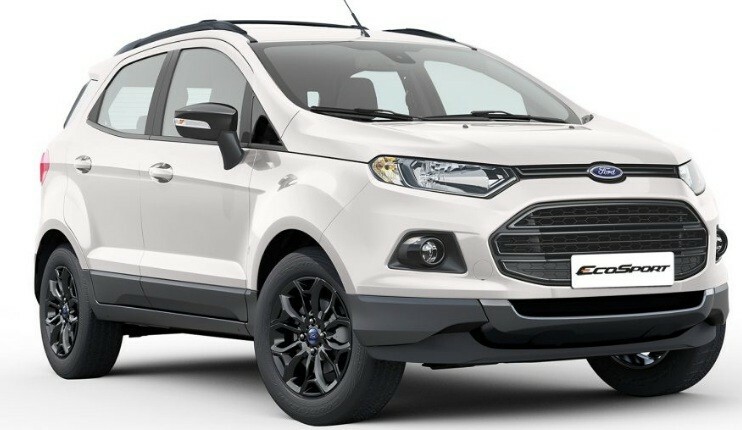 I am planning New Ford ecosport - Diesel Titanium ... Would you recommend me t buy SMP ... what is TMP. Hai today I got my ford EcoSport for 30k servicing . an amount RS 594/-was added in the service cost as engine coat.what is this cost.i can not understand.can any one give clarity. Engine coat is the protection coating on engine parts and hoses, that protects it from rats. Also, it provides a glossy look to the engine parts. Hi Vasu, Engine coat is the protection coating on engine parts and hoses, that protects it from rats. Also, it provides a glossy look to the engine parts.